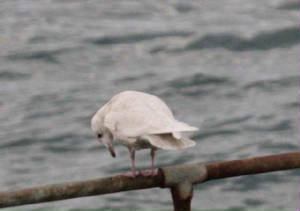 HELVICK: Adult Iceland Gull & 1st-winter Glaucous Gull. 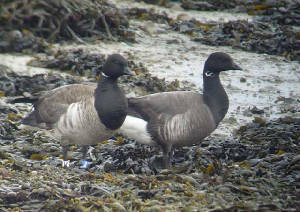 DUNGARVAN: Adult BLACK BRANT at the Cunnigar, 2 adult dark-bellied Brent nr the sports centre, Whimbrel at Knockanpower. CLODIAGH RIVER (nr Portlaw): Green Sandpiper, Common Sandpiper & Kingfisher. BALLYSHUNOCK RESERVOIR: Male Shoveler & 4 Great Crested Grebes. DUNGARVAN: 3 BLACK-NECKED GREBES at Ballynacourty. 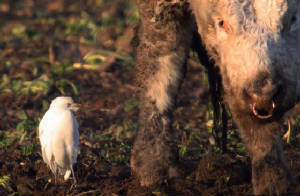 BLACKWATER CALLOWS: CATTLE EGRET between Ballyduff & Lismore. WATERFORD CITY: 2 Kingfishers & 17 Mute Swans on St John's River near Scotch Quay. DUNGARVAN: Adult BLACK BRANT & 3 Long-tailed Ducks (male & 2 females) off Cunnigar tip. BLACKWATER CALLOWS: 156 Whooper Swans (143 east of, 13 west of Ballyduff). CLONEA STRAND: 6+ Red-throated Divers. KNOCKMEALDOWN MOUNTAINS: 7+ Red Grouse & 5 Woodcock nr Knockadav. BLACKWATER CALLOWS: Female Goosander, 2 CATTLE EGRETS, 5 Little Egrets & a Common Sandpiper at Ballyroan East, Ballyduff. Nr VILLIERSTOWN: 2 Dippers at Kilmolash bridge, Merlin at Clashnadarriv. Nr CLASHMORE: 4 CATTLE EGRETS at Ballycrompane. DUNGARVAN: 3 Long-tailed Ducks (male + 2 females) at Ballynacourty. 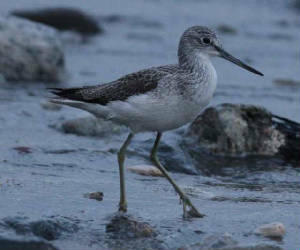 CLONEA STRAND: Whimbrel & 6 Purple Sandpipers at Ballinclamper. BALLYDWAN BAY: Great Northern Diver & 18 Red-throated Divers. KNOCKMAHON to KILMURRIN COVE: 47 Red-throated Divers. DUNGARVAN: 3 BLACK-NECKED GREBES nr Ballynacourty pier. TRAMORE BACKSTRAND (I-WeBS count): Totals included 698 Brent Geese, an adult dark-bellied Brent, 3 Long-tailed Ducks & 184 Knot; also a ringtail Hen Harrier at Lisselan & a Merlin at Kilmacleague. 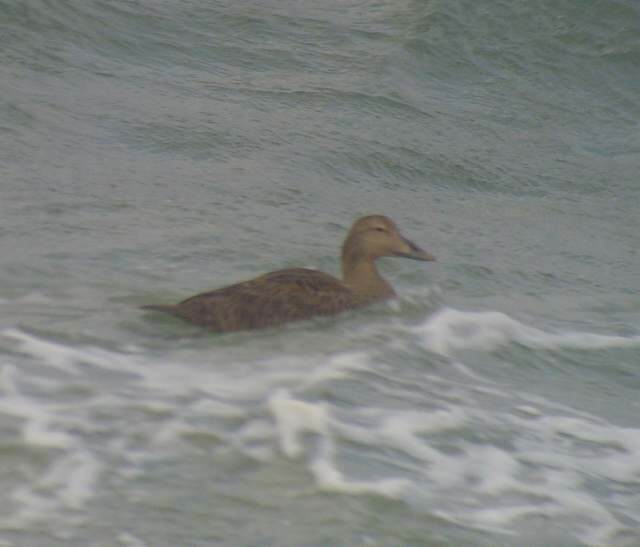 TRAMORE BAY: 5 Red-throated Divers & 1 Great Northern Diver. GARRARUS: 9 Red-throated Divers & a Black Guillemot. WATERFORD CITY: Barn Owl seen c1030 pm. 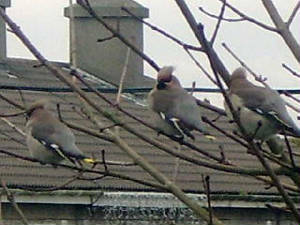 WATERFORD CITY: 10+ Waxwings again in St Herblain Park; 56 Snipe flew west over King's Channel. 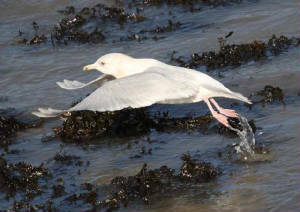 WHITING BAY: 2 1st-winter Glaucous Gulls; large mixed flock of Tree Sparrows, House Sparrows & Chaffinches at Ballysallagh. 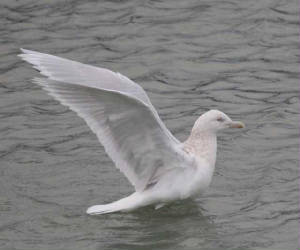 RINCREW: Iceland Gull, 3 Glaucous Gulls & 2 adult Mediterranean Gulls on Waterford side of Tourig estuary. 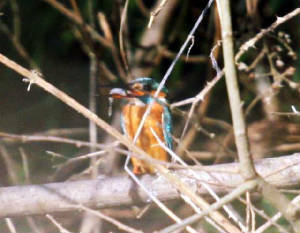 BRICKEY CANAL: 2 Kingfishers & 2 Chiffchaffs. 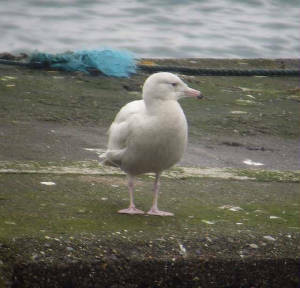 DUNGARVAN: 2nd-winter Glaucous Gull at Ballyneety. 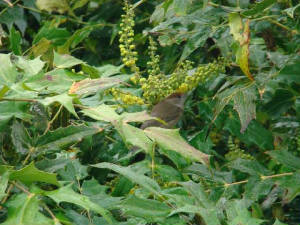 WATERFORD CITY: Female Blackcap at Ballinakill Downs. WATERFORD HARBOUR (I-WeBS count): Totals included 125 Brent Geese (123 at Woodstown shellfish trestles), 10 Great Crested Grebes & 462 Black-tailed Godwits. DUNMORE EAST: 9 Purple Sandpipers. TRAMORE BACKSTRAND: 4 Long-tailed Ducks (3 males) & a dark-bellied Brent Goose at Saleen. BALLYSHUNNOCK RESERVOIR: 35 Whooper Swans & 4 Shoveler. DERRIGAL: 14 Whooper Swans & 9 Greylag Geese. 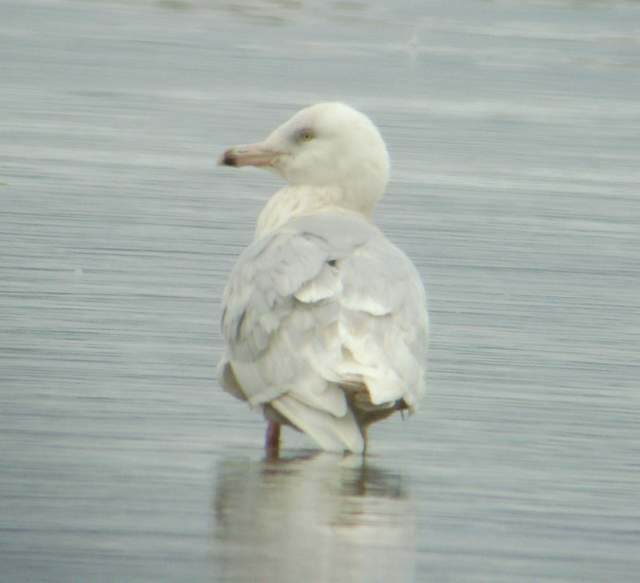 BUNMAHON: Glaucous Gull (probably 1st-winter). DRUMLOHAN (nr Stradbally): 2 CATTLE EGRETS. STRADBALLY COVE: Red-throated Diver & 2 Dippers. 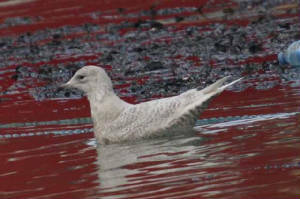 BALLYVOYLE COVE: 2nd-winter Glaucous Gull. CLONEA STRAND: 14 Red-throated & 14 Great Northern Divers. BALLINARD: Whimbrel & adult dark-bellied Brent Goose. 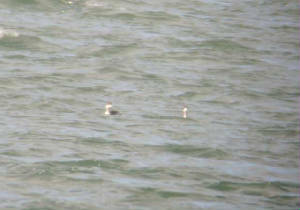 DUNGARVAN HARBOUR: 3 Long-tailed Ducks (1 male). 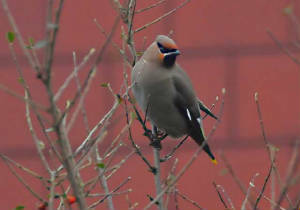 WATERFORD CITY: Waxwing flocks seen in three gardens today, in Grange Heights (c12 birds) and later St Herblain Park (11+, possibly 15 birds) and St John's Park (4 birds). 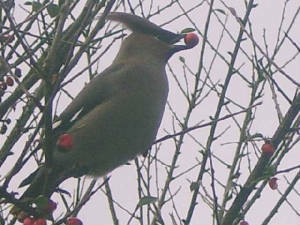 Also a male Blackcap all winter, St Herblain Park, plus a female on several dates. 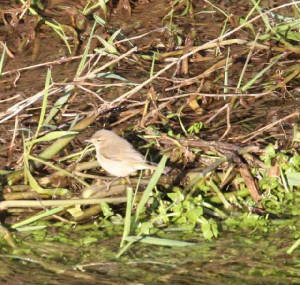 BRICKEY RIVER: Merlin, Green Sandpiper, Kingfisher & 3 Chiffchaffs along the canal. DUNGARVAN: 2 Common Sandpipers at Barnawee, Long-tailed Duck, Black Guillemot & Otter at Cunnigar point. CLONEA STRAND: 2 Little Gulls (adult & 1st-winter) & adult Mediterranean Gull at Ballinclamper. DUNGARVAN town: 2 female Blackcaps. 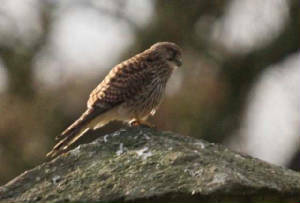 NEWPORT EAST: 2 Merlin & 10 Fallow Deer. DUNGARVAN: 3 BLACK-NECKED GREBES & a Black Guillemot in bay, adult Ring-billed Gull at Ballynagaul, Blackcap in garden at Kilmurray. 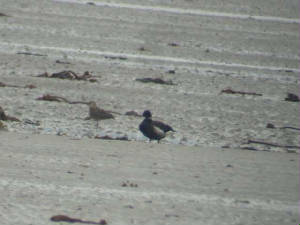 CLONEA STRAND: Adult dark-bellied Brent Goose & 1st-winter Little Gull. 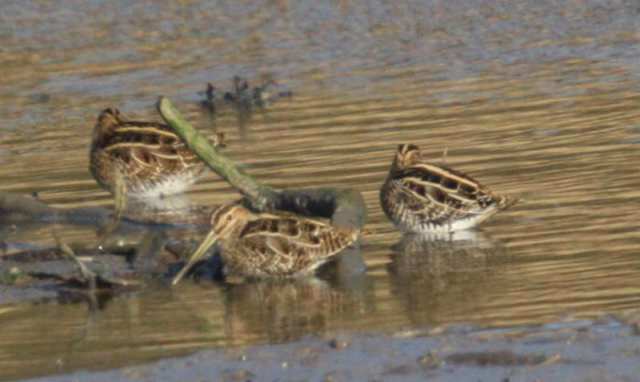 TRAMORE BACKSTRAND: Flock of 80 Snipe. Nr WHITING BAY: 22+ Tree Sparrows at Ballysallagh. 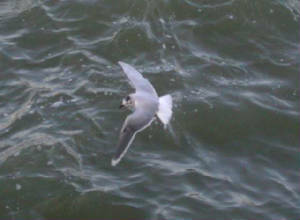 HELVICK PIER: 4 Little Gulls (1st-winter & 3 adults). 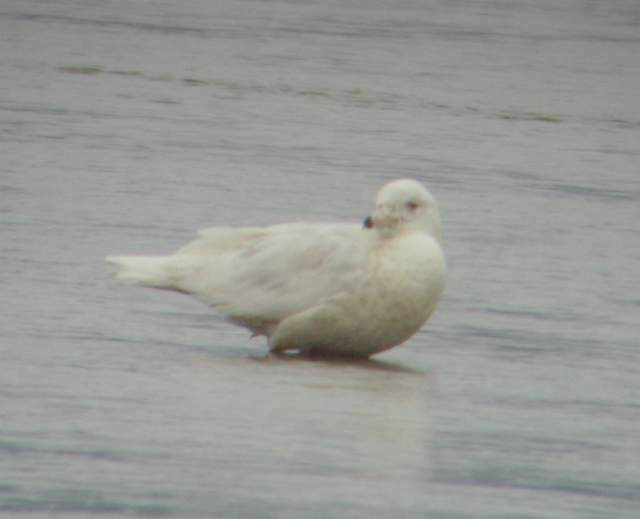 DUNGARVAN: 4 adult Little Gulls at Ballynagaul, adult Glaucous Gull at Poulapoucha, Ring. CLONEA STRAND: 14 Choughs at Ballinclamper. DUNGARVAN: 3 adult Little Gulls at Ballynagaul. 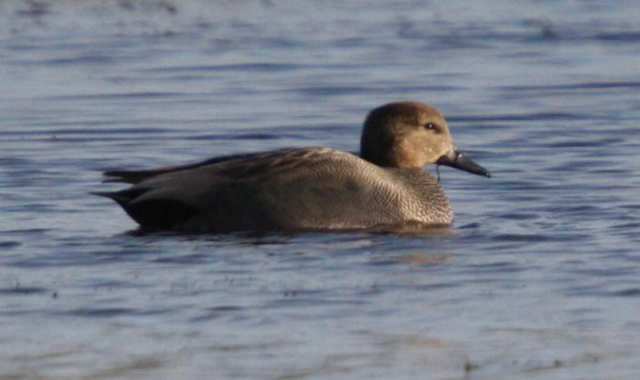 TRAMORE BACKSTRAND: Great Northern Diver at Saleen, Kingfisher at Clohernagh. BALLYNACOURTY POINT (Dungarvan/ Clonea): 8 Little Gulls (7 adults & a 1st-winter) off the lighthouse. 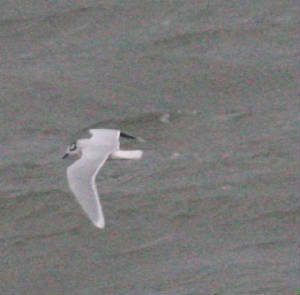 HELVICK HEAD: 6 adult Little Gulls (different from above though at same time). Nr CLASHMORE: 4 CATTLE EGRETS at Ballycrompane, Great Northern Diver off Clashmore Broads. 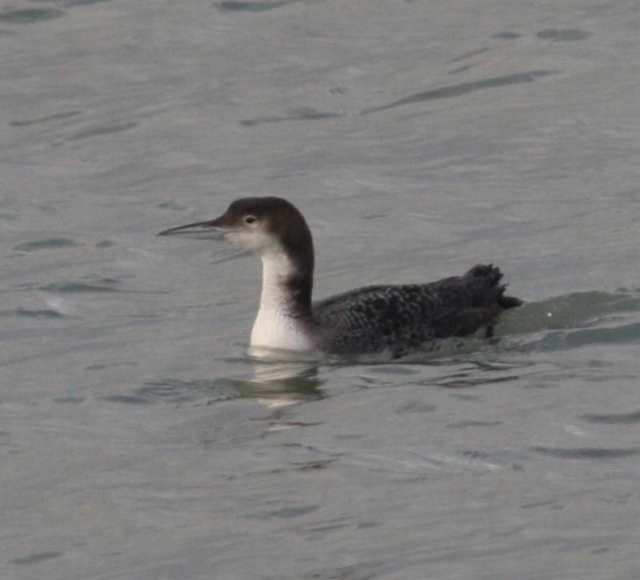 WHITING BAY: Great Northern Diver. ARDMORE: 2 Little Gulls (adult & 1st-winter). DUNGARVAN: BLACK-NECKED GREBE off the Gold Coast, Jack Snipe & 2 Glaucous Gulls (2nd- & 4th-winter) at the Cunnigar. 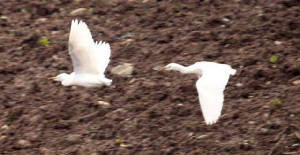 TIBBERAGHNY (Co Kilkenny): 2 Pink-footed Geese, 185 Greylag Geese, 36 Whooper Swans & 8 Little Egrets. COOLFIN/DERRIGAL: 9 Greylag Geese & 12 Whooper Swans. Nr CLASHMORE: 2 CATTLE EGRETS at Ballycrompane. 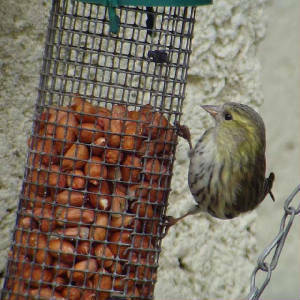 DUNGARVAN town: 25 Siskins in garden. 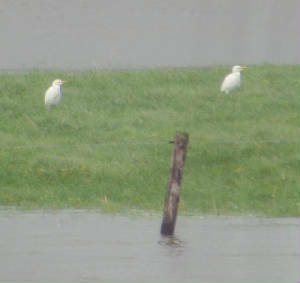 Nr CLASHMORE: 4 CATTLE EGRETS at Ballycrompane (same location as 8 birds last winter). 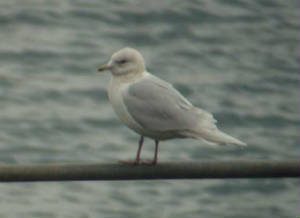 DUNGARVAN: Adult Mediterranean Gull (a ringed bird) at Barnawee. 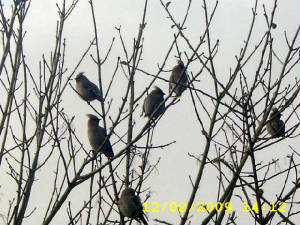 Nr THOMASTOWN (Co Kilkenny): An estimated 100,000+ Starlings seen going to roost. DUNMORE EAST: Night-roost of 100+ House Sparrows just north of the Inner Harbour Kittiwake colony. 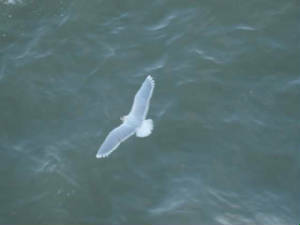 HELVICK HEAD: 2 Iceland Gulls (adult & 1st-winter). DUNGARVAN town: Black Redstart at Kilrush Industrial Park (inside shop at Curran's Hardware! 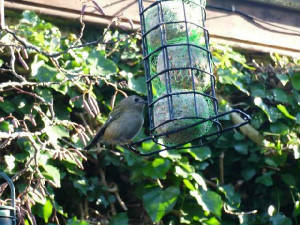 ), female Blackcap in garden. 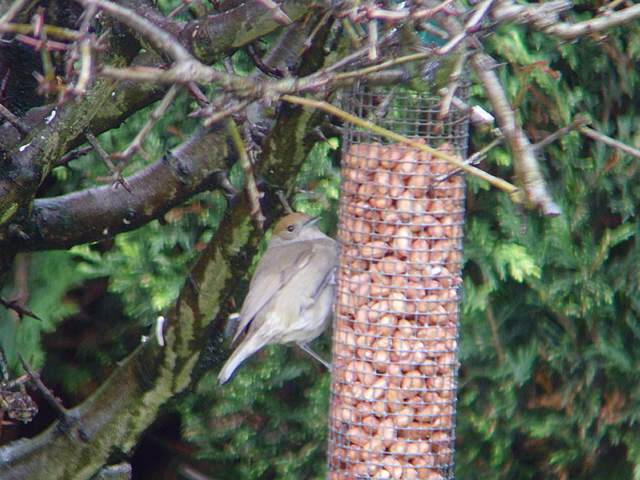 BALLYLEMON: Female Blackcap in garden. CLONEA STRAND: 7+ Great Northern Divers at Ballinclamper. TRAMORE BACKSTRAND (I-WeBS count): Totals included 830 Brent Geese, a Great Northern Diver & 140 Grey Plover. 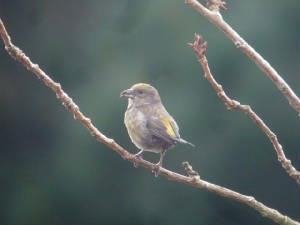 CORBALLY: 260 Chaffinches in stubble fields. 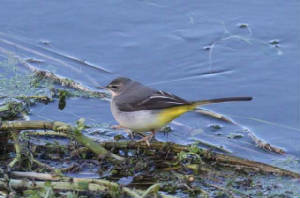 DUNGARVAN (I-WeBS count): Totals included 7 Great Northern Divers, 3 BLACK-NECKED GREBES (inside Cunnigar tip), 1370+ Brent Geese, 2 adult dark-bellied Brent (at pitch & putt course) & a Kingfisher (at Cunnigar base); also 16 Siskin & a Goldcrest at garden feeders in town. CLONEA STRAND: Whimbrel & 9 Purple Sandpipers at Ballinclamper, 43 Sanderling Ballinard / Ballinclamper, 2 Red-throated & 19 Great Northern Divers. Nr BELLE LAKE: Short-eared Owl seen recently. RATHMOYLAN: 150+ Skylarks in stubble fields & a Chiffchaff. 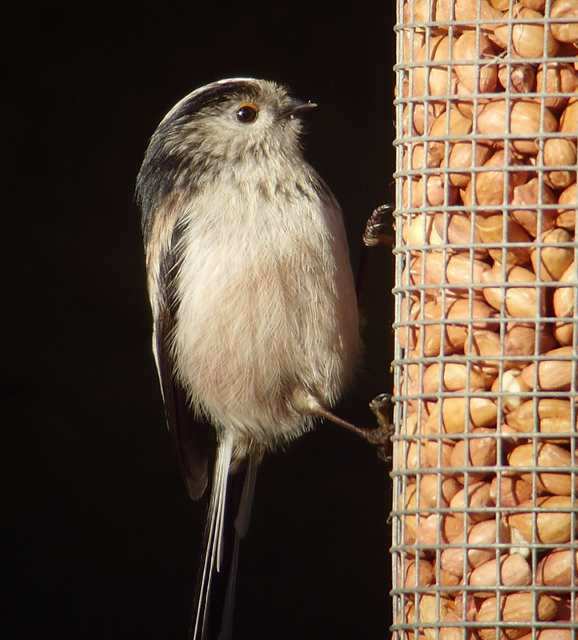 DUNGARVAN: Adult dark-bellied Brent Goose off pitch & putt course; 12 Siskins, a Lesser Redpoll & a Goldcrest at garden feeders in town. BALLINARD: Adult dark-bellied Brent Goose & 2 Whimbrel. CLONEA STRAND: Adult Mediterranean Gull & 4 Purple Sandpipers at Ballinclamper. DUNGARVAN: 3 BLACK-NECKED GREBES in bay, 3 Crossbills at Gold Coast golf-course. DUNGARVAN: 3 BLACK-NECKED GREBES off Gold Coast. DUNGARVAN: 3 BLACK-NECKED GREBES & 3 Long-tailed Ducks off Gold Coast and Abbeyside prom, BLACK BRANT off pitch & putt, & 15 Siskins at a garden in town. BLACKWATER CALLOWS: 3 CATTLE EGRETS, a female Goosander and a Common Sandpiper at Scartnacrooha, c1 mile W of Ballyduff; 2 Jays at the Towers, nr Lismore. 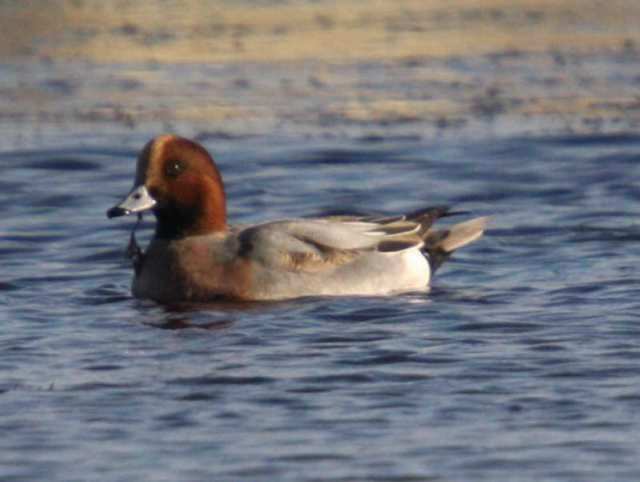 BLACKWATER VALLEY: Jay at Knockanore, male Tufted Duck at Dromana. 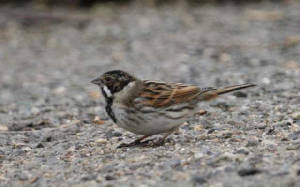 Nr WHITING BAY: Flock of Tree Sparrows (>5) at Ballysallagh. CLONEA STRAND: 6 Purple Sandpipers at Ballinclamper. TRAMORE BACKSTRAND: Total of 695 Brent Geese. DUNGARVAN: 2 Slavonian Grebes off Abbeyside church & 7 Shoveler near sports centre. TOORANEENA-BALLYMACARBRY ROAD: A Woodcock flew over. Nr STRADBALLY: 2 CATTLE EGRETS at Drumlohan Coss Roads. 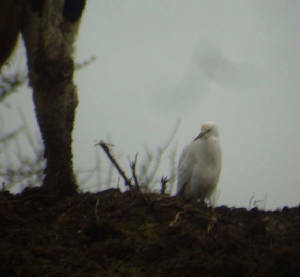 Nr ANNESTOWN: CATTLE EGRET at Kilcannon, Dunhill. 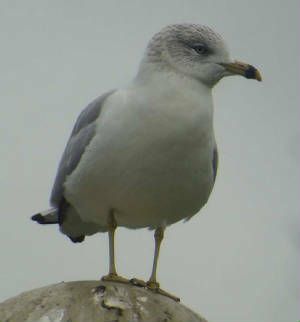 TRAMORE BOATING LAKE: Adult Ring-billed Gull & 3 Scaup. RAM HEAD: 3 Fin Whales & a Porpoise. CLONEA STRAND: 4 Purple Sandpipers at Ballinclamper, also 3 Tufted Duck flew past and 2 Red-throated Divers on the sea. 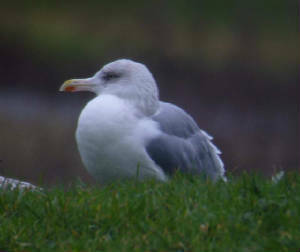 TRAMORE BOATING LAKE: Adult Ring-billed Gull, adult argentatus-race Herring Gull (1, possibly 2), 3 Scaup (male + 2 females), female Gadwall; also a Black Redstart nearby. Nr ANNESTOWN BOG: CATTLE EGRET. 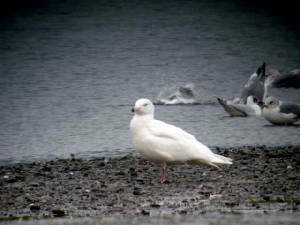 DERRIGAL/COOLFIN: 11 Whooper Swans nr Derrigal Cross Roads; 2 Green Sandpipers at Clodiagh Bridge. BALLYSHUNNOCK RESERVOIR: 6 Gadwall & 9 Shoveler. DUNGARVAN: Great Northern Diver & 23 Great Crested Grebes off Ballynacourty Pier. 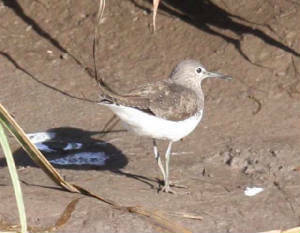 BRICKEY RIVER: Green Sandpiper just below Twomile Bridge. Nr STRADBALLY: 3 CATTLE EGRETS again present at Drumlohan Coss Roads. 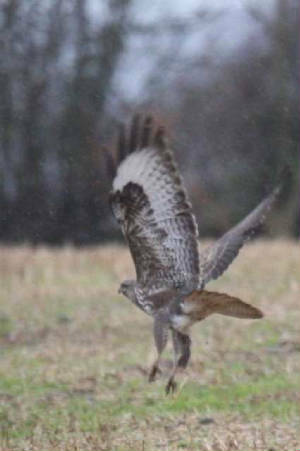 KNOCKMEALDOWN MOUNTAINS: Red Grouse & female Hen Harrier. DUNGARVAN: Red-throated Diver in bay. KNOCKMEALDOWN MONTAINS: Red Grouse & 5 Woodcock, Ballysaggart area. 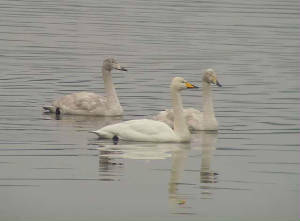 BLACKWATER CALLOWS: 84 Whooper Swans. CROSSERY (nr Knockanore): 11 Yellowhammers & 10 Stock Doves. WHITING BAY: 5 Tree Sparrows at Ballysallagh.